The early 1970s was a very important time for people of color artist/filmmakers at UCLA. After the arrival of future MacArthur Grant winner Charles Burnett in 1967 and Ethiopian filmmaker Haile Gerima the following year, there emerged a significant black independent movement. The students develop a fecund, cosmopolitan and politically engaged movement that came to be unofficially known, as essayist Ntongela Masilela dubbed, the Los Angeles School of Black Filmmakers or “LA REBELLION”. The first wave of these filmmakers also included Larry Clark, John Reir, Ben Caldwell, Pamela Jones,Carol Blue, Abdosh Abdulhafiz Tommy Wright, Barbara-O, Charles David Brooks III, Jamaa Fanaka. 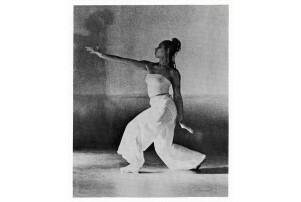 The second continued the remarkable cinematic work with Julie Dash, Sharon Larkin, Barbara McCullough, Bernard Nicolas, Billy Woodberry, Jacqueline Frazier, Adisa Anderson, and Zeinabu irene Davis. The program includes some of the short films by these makers pursuing less conventional modes of storytelling. Special thanks to the UCLA Film & Television Archive, Chris Horak, Shannon Kelley, Allyson Nadia Field, and Jacqueline Stewart for their L.A. Rebellion retrospective, restorations, and notes. 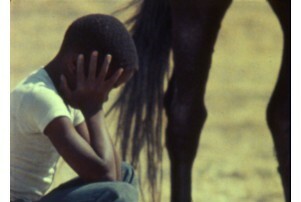 Charles Burnett employs a sparse lyricism in this haunting coming-of-age tale about an African American boy tending to a horse that is to be put down.